Earlier this month I was given a mask to try. I always like to try new products and is one of the perks of my job to test products out. 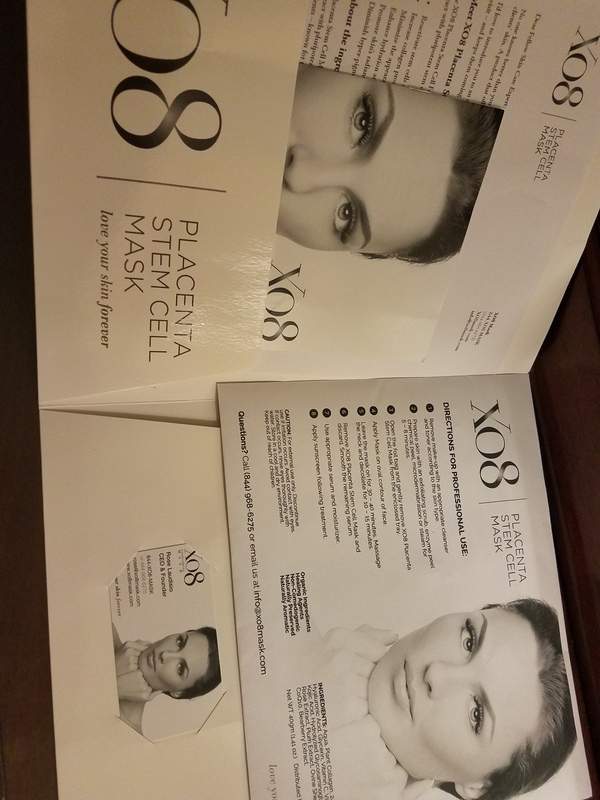 Disclaimer: Rose Laudisio the CEO and Founder of xo8 Placenta Stem Cell Mask gave me the mask to try for free. I am not being paid to do this review. The packaging is nice and straight forwards, it talks about the benefits of the mask and the ingredients. 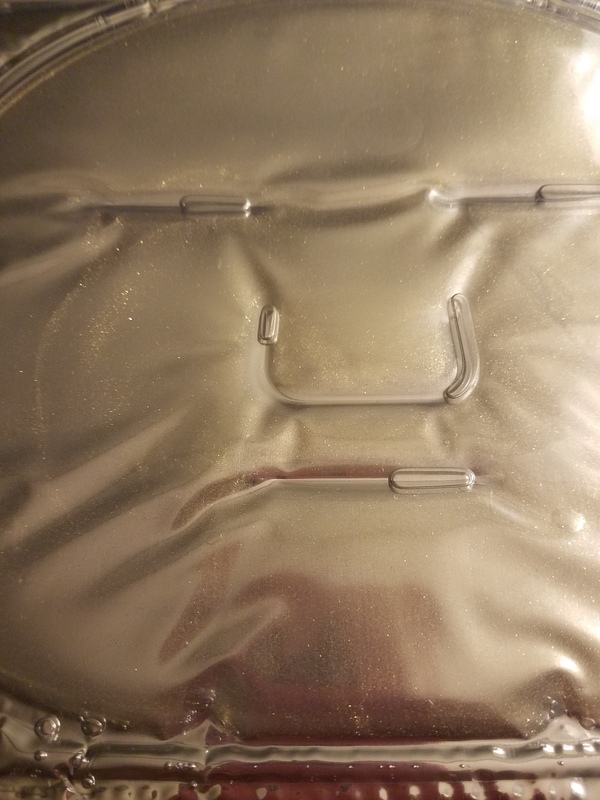 The mask, see the tiny gold flakes! The xo8 website has lots of information about their product, I have shared some of their information below. 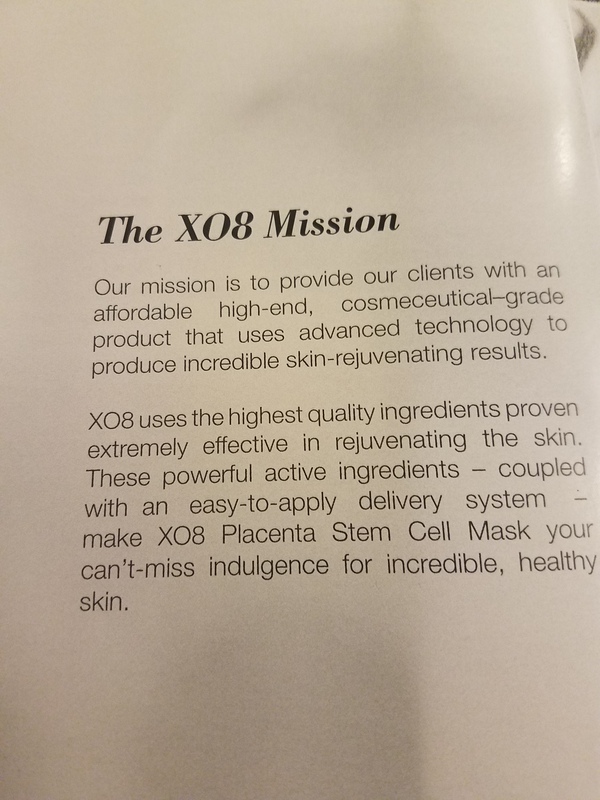 XO8 Placenta Stem Cell Mask uses a cocktail of 14 unique and highly active cosmeceutical-grade ingredients proven extremely effective in rejuvenating the skin. It also includes amino acids, nutrients and antioxidants necessary to fight the signs of aging. 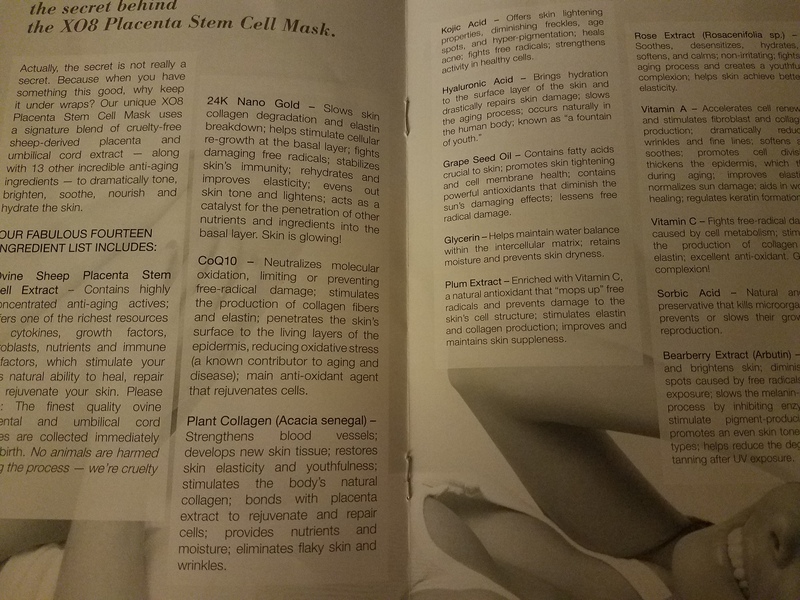 These 14 key natural active ingredients are the driving force behind the XO8 Placenta Stem Cell Mask. 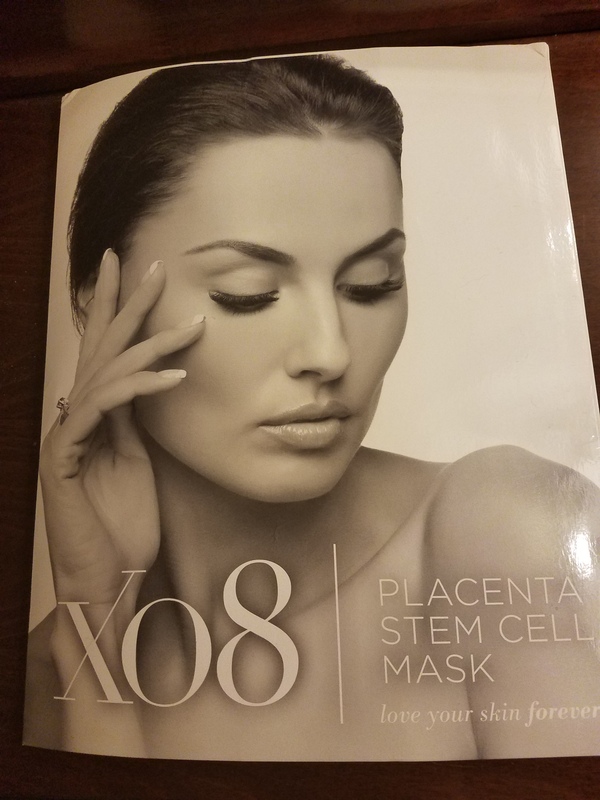 The XO8 Mask Placenta Stem Cell Mask handles your deepest skin concerns with 14 natural ingredients applied directly to the skin. The Mask dramatically brightens, diminishes lines, fades dark spots, hydrates, soothes, nourishes, and tones, giving tired skin a boost and making lovely skin even lovelier. Our mission is to provide an affordable, high­-end, cosmeceutical-grade product that uses advanced technology to produce incredible skin­-rejuvenating results. When I first put the mask on I had a cooling sensation on my face. It has a pleasant fresh scent and not to over powering. The cooling sensation lasted the entire time I left the mask on, which was about 45 mins. 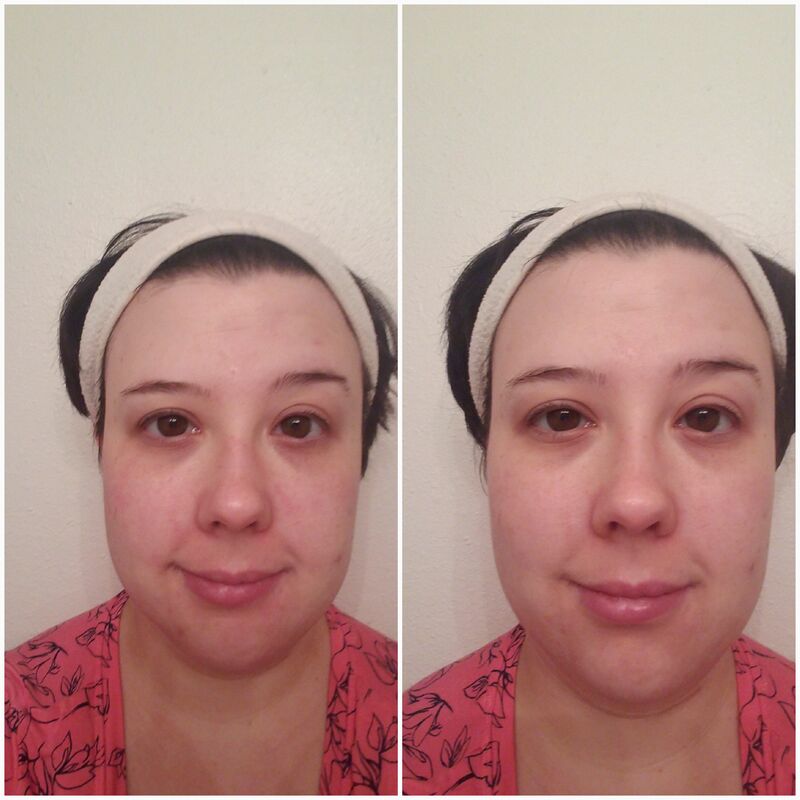 So I saw a small reduction in fine lines and wrinkles, redness and inflammation was reduced. My skin felt like it drank a full glass of water, nice and hydrated. My lips also felt a little fuller aswell. I’m sorry the before and after photos are not best quality, but if you study the photos you can see the differnece. Update: This morning (did the mask last night) the lines in my forehead were resuce by almost 50%. Wow! The mask would be good add-on to a facial, peel or microderm treatment. Spas and Estheticians could use this for extra revenue for spa services and sell it in retail as take home kits. Downside to the mask is having to lay down. You can’t multi task while wearing the mask at home. Which is also a benefit because it made me lay down and relax for a bit. I did notice some overall improvements right after using the mask, but not enough to see a huge difference. This maybe because I only did one treatment. The following morning I saw more of difference in my fine lines, so I like that it keeps working after you take it off. Its is not a vegan product since it does have sheep placenta in the mask. So that could be a turn off to some clients. It would be nice if the mask could be used more than once or twice. But most sheet mask like the xo8 are usually one time use. I would be interested in using a serum with ingredients in the mask as a part of a at home skincare regiment. At this time I believe xo8 only has the mask to offer clients. I would give the mask a 7 out of 10 for myself, I have normal to oily skin and still relatively firm. 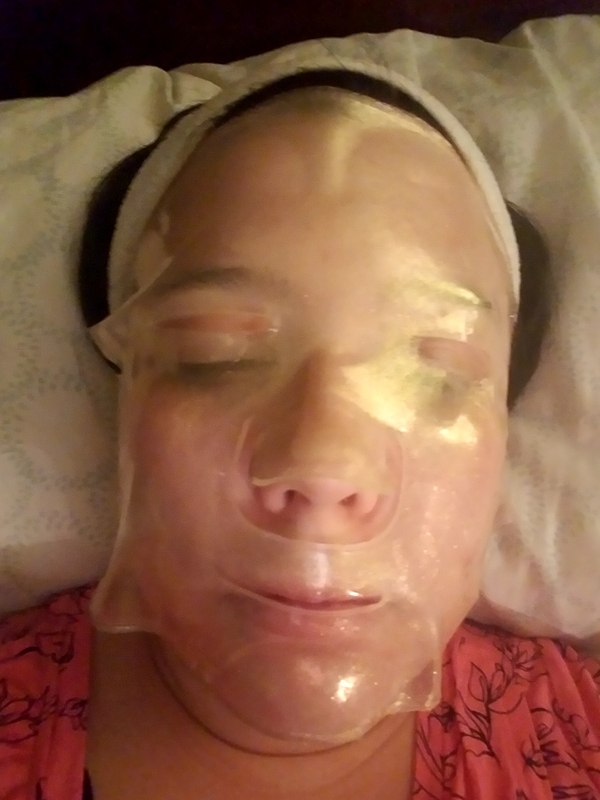 I would try the mask again and I also would recommend others to try it. I tried the mask on a client who had very dry and mature skin. It did wonders for her skin a huge reduction in fine lines and the hydration was greatly boosted in her skin. Hope you guys enjoyed the review, I look forward to sharing more products with you in the future.